Today is the Spring Equinox and the Full Worm Supermoon! The Vernal (Spring) Equinox and Full Worm Supermoon happens today! Report your day-length and observe the night sky. The spring – Vernal — Equinox will occur today — March 20, 2019 at 21:58 Universal Time – or at 4:58pm Central Standard Time. The Vernal Equinox marks the beginning of spring in the Northern Hemisphere and the beginning of autumn in the Southern Hemisphere. It marks the point when the sun crosses the celestial equator going from south to north. 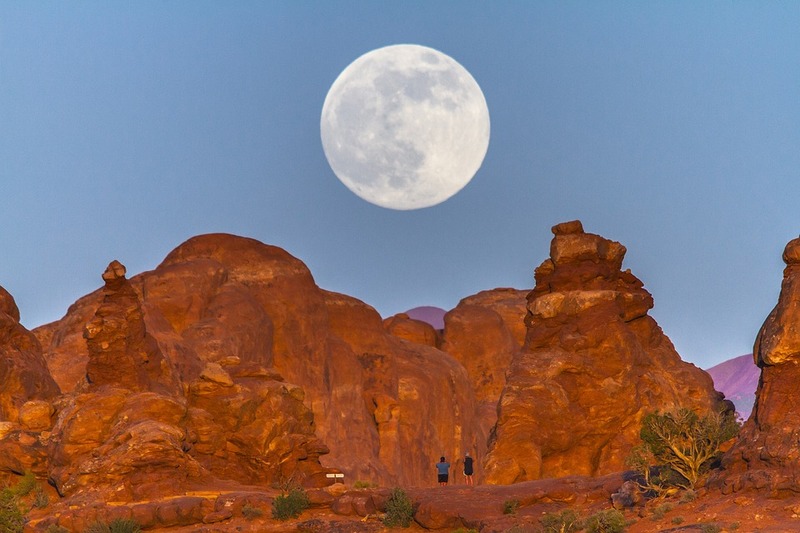 The March 20, 2019 Equinox will happen just four hours before the “Full Worm Supermoon”. This is the closest coincidence of a supermoon with the March equinox since March 2000 – 19 years ago. This will not happen again for another 11 years, or until March 2030. NASA Science provides a great overview of supermoons. Find a dark sky location to celebrate the arrival of spring and to observe the full moon rising! Report you day length for March 20, 2019. Report seasonal signs of March. Step 1: Look up your sunrise/sunset for March 20, 2019 using Google or other internet search engines. Step 3: Report your day length for March 20, 2019.